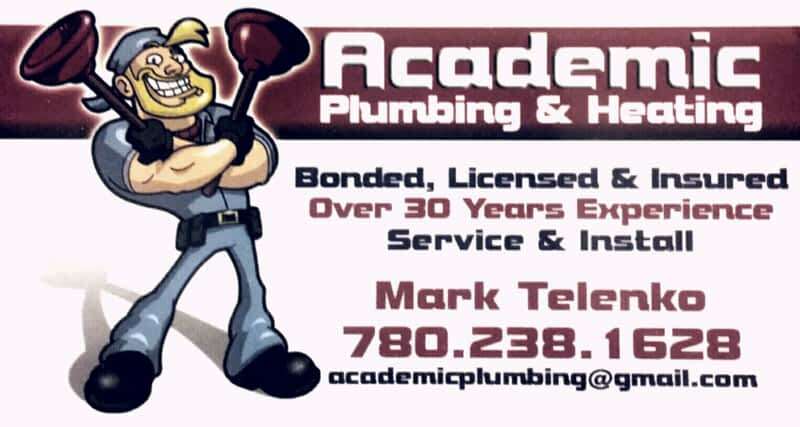 Academic Plumbing & Heating was established in 1988. I generally work on my own, I am happy to announce a addition with the Company, Jason has recently started part time. Our vans are stocked with common items, saving time and money to you the Customer. Our specialty is service repair, taps, drains, heating system diagnosis, hot water tank replacement, sump pump & main line back water valve installation. We bust up floors for additional bathroom, kitchen/bar drain install, Overall we take care of your everyday household necessities. Bonded. Licensed. Insured. Call for further information.